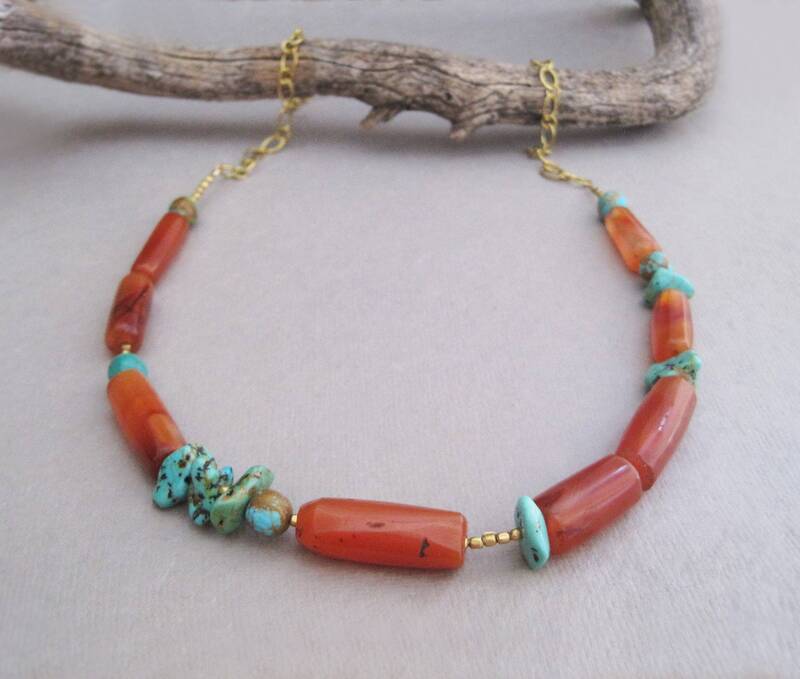 This one of a kind necklace features natural, earthy stones in a vibrant array of colors. 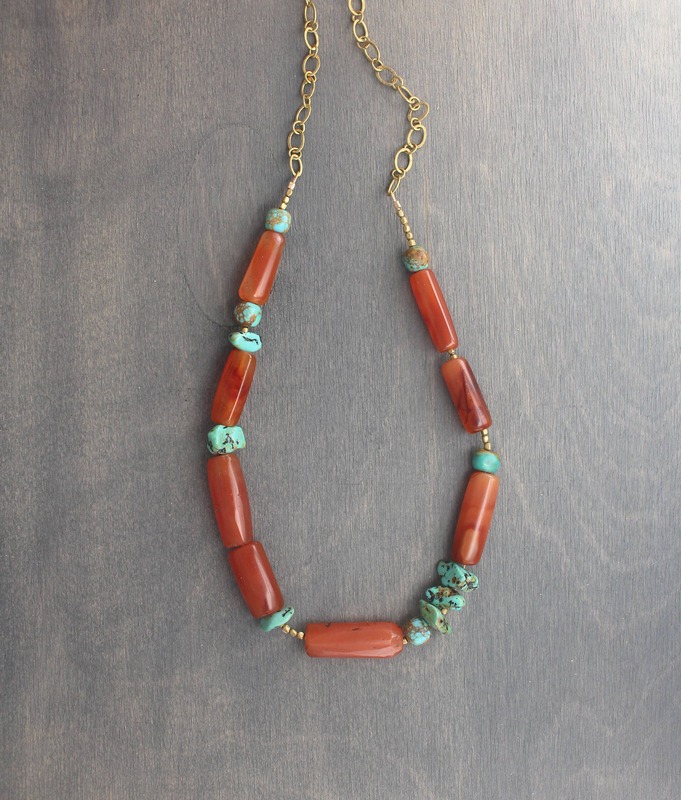 The rust and dark orange carnelian hand-carved tubes are from Ghana. 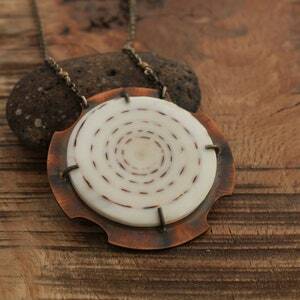 Each has a subtle, individual pattern, and they are all slightly different in shape and size. 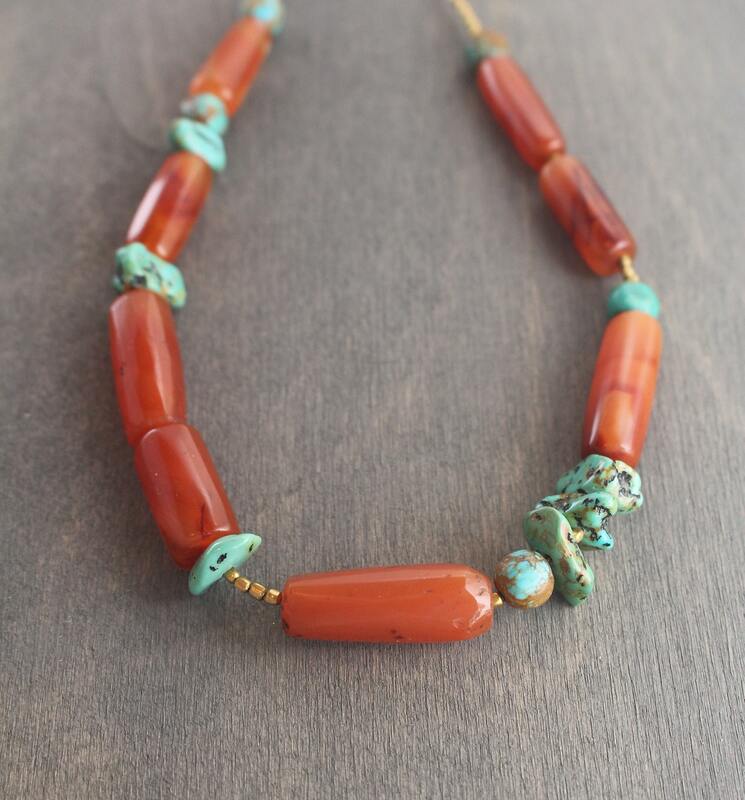 This fiery stone is a beautiful contrast to the bright blue-green of natural turquoise. 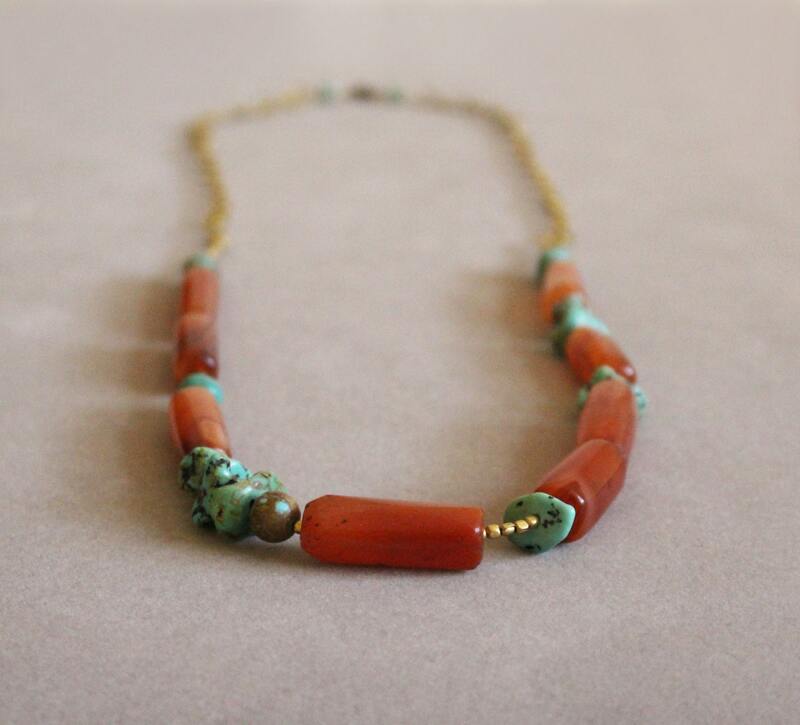 The tumbled nuggets with black spots are Kingman turquoise from Arizona, and the round beads are hand-carved turquoise also from Arizona. 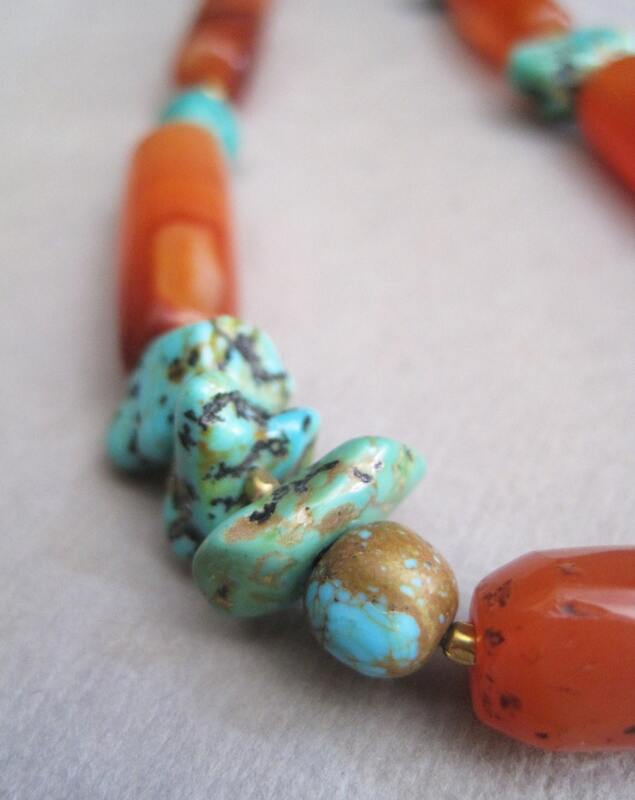 This is some of the highest quality turquoise in the world: it is never dyed or treated. 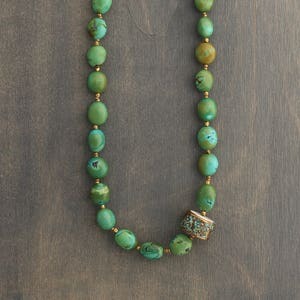 The lovely blues, greens, browns and oranges of these gemstones compliment the warm, neutral tones of the brass beads and chain. 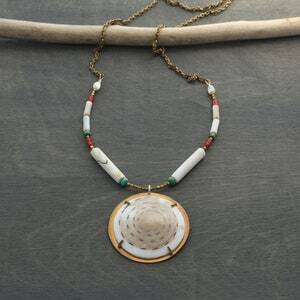 The chain has alternating oval and circular flat links, and was made by hand in a fair trade workshop in Bali, Indonesia. 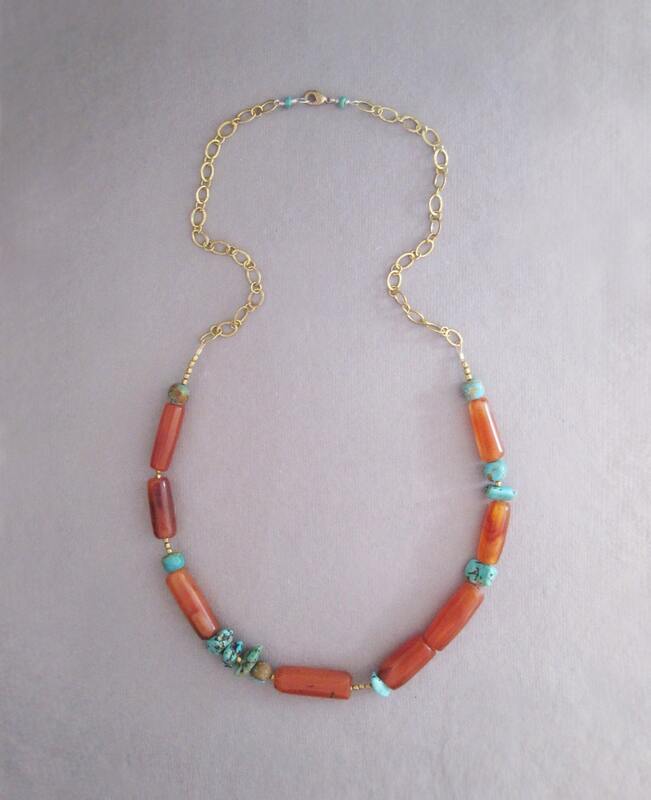 The total length of the necklace is a slightly longer 23 inches (58.5 cm). You may use the links in the chain to adjust the necklace length if you like. 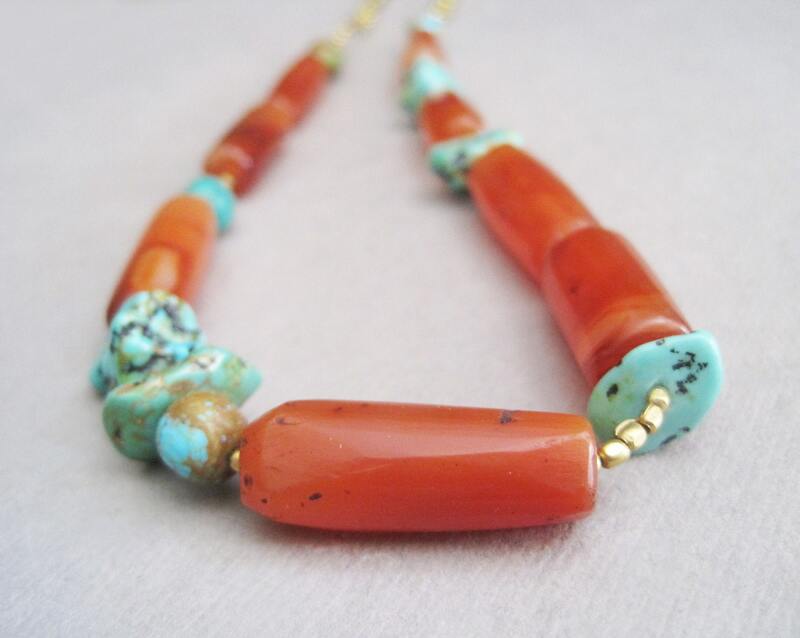 The carnelian tubes are approximately 3/4-1 inch (2-2.5 cm) long. 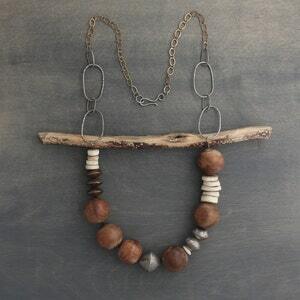 You will receive the exact necklace pictured here. It is ready to ship and comes with complimentary gift wrap.